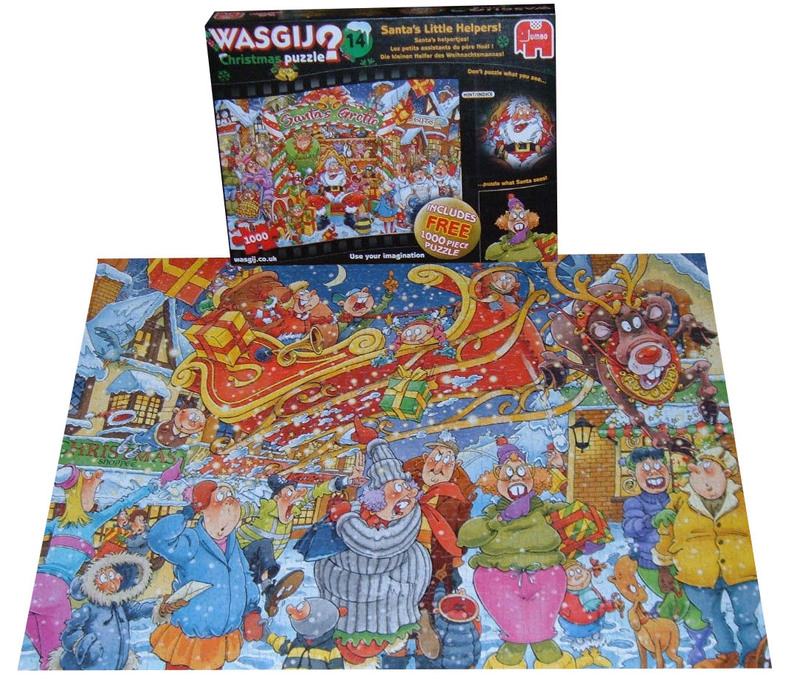 Wasgij Christmas 14: Santa’s little Helper is a hilariously festive 1, 000 piece jigsaw puzzle. The image shown on the box sees Santa’s grotto with children lining up to finally seeing Santa Claus. Santa was all ready to see the next child but has now been distracted by something in the sky – so what could it be? use your imagination, and the clues provided on the box, to find out why everyone is looking so shocked. Try to imagine you are the Lady with the buggy and piece together what she can see. But that is not all! once you have finished puzzling together the fantastic 1, 000 piece Wasgij solution puzzle, you can then puzzle together the free 1, 000 piece box image puzzle! Wasgij Christmas is the unique brainteaser puzzle concept (that is the same as the Wasgij original concept) where you have to work out the cause of the scene in the puzzle box image and discover why the characters in the illustration are looking so shocked? can you use the clues to determine what has happened?